Skiing and snowboarding can be a lot of fun. There are a lot of people who take to the slopes in Massachusetts and throughout New England each year. However, while there are good times to be had, these winter sports can result in serious injury or death. According to a recent news feature from CBS News, one snowboarder who was involved in a serious accident has decided to help brain injury victims cope with the many changes they will be facing as result of suffering a traumatic brain injury. As our Boston personal injury attorneys have seen in far too many cases, traumatic brain injuries can be the result of a head impact that does not appear to be all that hard and be caused by many distinct conditions. A concussion is one of the more common types of traumatic brain injury. 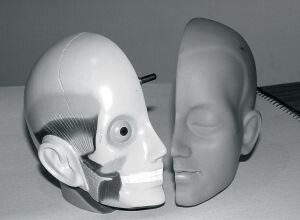 This is caused when there is an impact to the head and the brain moves forward and hits the skull. While this can be caused by an open head injury in which the victim is bleeding, it can also be the result of closed head injury in which there is not bleeding evidence other than internal bleeding as result of the concussion. The internal bleeding can cause pressure to build up between a part of the skull known as the dura. While it can go away on its own, doctors may have to drill into the victim’s skull to release the pooled blood and thereby reduce the pressure to prevent further brain damage from occurring. This snowboarder was training for the 2010 Olympic Games when he was on the halfpipe and crashed. He almost died in this snowboarding accident, but managed to survive; however, six years have gone by, and he still suffers from the traumatic brain injury he got that day. He has decided to work through his problems by helping others like him deal with their own brain injury issues. He has worked with his brother to start a foundation to help traumatic brain injury (TBI) victims and those family members who now have to care of the victims who can no longer take care of themselves as they did before suffering the serious brain injury. In some cases, the victims will make a full recovery. In others, they will make a partial recovery, and some will never recover in any significant way for their TBI damage. He and his brother aim to help support of these people with their foundation. One thing people may not realize is that after suffering a traumatic brain injury, the victim may need a lifetime of therapy and personal care. In some cases, this means a family member has to stop working and take care of the personal injury victim, and that can be costly for obvious reasons. In some cases, the patient will need the services of a professional brain injury caregiver. In terms of monetary cost, this can cost upwards of a hundred thousand dollars, and possibly much more, so this is one thing you should discuss with your experienced brain injury lawyer.